This browser doesn't support scripts, or scripts are disabled. Please use the navigation links at the bottom of the web page. At age 16, Ernest Lamarque travelled from England to North America to begin a life as a Victorian adventurer. Born in 1879 and orphaned at age 12, he would go on to become an artist, a writer and a surveyor, creating some of the earliest visual records of the people of Canada's remote regions. At 17, Lamarque began working as a clerk at Hudson's Bay Company posts in Saskatchewan, BC, Alberta, and the Northwest Territories. He recorded his adventures through paintings, sketches and photos, thus producing invaluable historic resources. As one of BC's best-known surveyors, Lamarque located a route across north-ern BC during the Bedaux Expedition. 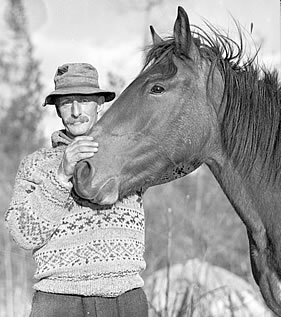 He travelled and photographed the historic First Nations Davie Trail while working to locate the initial Alaska Highway. In 1914 Lamarque participated in the important D.A. Thomas coal transport survey in northern Alberta. 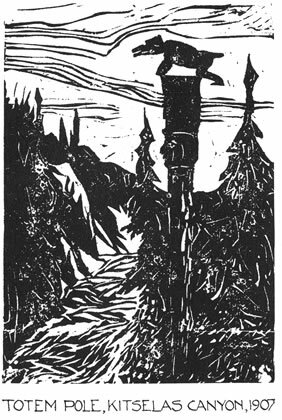 The Landscape Of Ernest Lamarque reveals remote regions of western Canada and its people in the early 20th century through the eyes of a self-taught man. 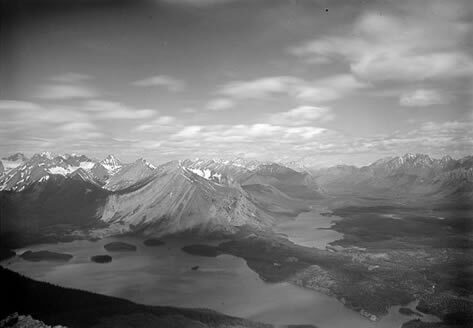 Upper Kananaskis Lake 1914. Since the time of the Boundary Survey, the islands once visible in the lake were submerged by dam construction in the 1930s and 1940s. Photo: Mountain Legacy Project, University of Victoria. 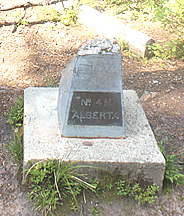 The Alberta-British Columbia Boundary Survey (also known as the Interprovincial Boundary Survey) was one of the major surveying projects in Canadian history. From 1913 to 1924 the Great Divide was marked on the ground by a series of monuments from the United States border to the 120th meridian, and then north along this meridian through the Peace River country. During those 12 years many people worked on the survey crews of A.O. Wheeler, the BC representative, and R.W. Cautley, the Alberta surveyor. I am doing research for a book on this survey and would like to contact descendants who have information that they are willing to share - photographs, letters, diaries, reminiscences, etc. If you have information on any of the survey participants, including the people listed below, please email me at jaysherwood@surveyingbc.ca. • Carthew, William and John T.
Monument Station No. 4H Alberta at Akimina Pass. Photo: Jay Sherwood, 2012. • Platz, Mark • Stewart, Charles W.
Photographs and text © 2015, Jay Sherwood. Website © 2015, Linda Sherwood. All rights reserved.